It might be lost in the excitement surrounding the highly acclaimed 2009 California Pinot Noir vintage, but if you look on page 87 of the October 15, 2011 issue of Wine Spectator you'll see a round up of Top Wines from Spain. 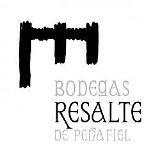 In the midst of a number of wines rated 93 points, wedged in between a $200 Numanthia-Termes and a $250 Bodegas Roda is the 2004 Bodegas Resalte de Penafiel Ribera del Duero de Restia Crianza Selected Harvest at $15. What do I know about this wine? Nothing. But I know where to buy it. While I was trying to track the wine down I received an email from The Spirit Shoppe (a WWP advertsier) offering it at a fair price. I asked owner Devin Vollmer what was up with this wine? Why was a 2004 just being rated? He answered on their Facebook page that most Crianza is cellared for 2 years (so 09s are being released for the most part) but this wine was just arriving in the states. Question of the Day: Have you tried this wine or other vintages?